Have you picked up a new Nintendo 3DS, 3DS XL or 2DS system recently, and have yet to buy Pokémon X or Pokémon Y? Well, assuming you haven’t registered it yet, Nintendo is giving away digital copies of either game for the entire month of March. There one catch though. You’ll also need to purchase and/or register one of six games during March. Those include: Mario Kart 7, Super Mario 3D Land, Animal Crossing: New Leaf, Donkey Kong Country Returns 3D and LEGO City Undercover: The Chase Begins. Register your system and one of the games with Club Nintendo and a free Pokémon X or Y is your reward. Check out the details and the fine print below. 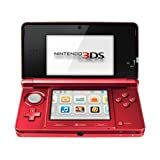 During the month of March, people who register a Nintendo 3DS, Nintendo 3DS XL or Nintendo 2DS system, as well as one of six select Nintendo 3DS games via Club Nintendo, will receive a free code to download either Pokémon X or Pokémon Y, the best-selling Nintendo 3DS games of 2013. The six participating games are Mario Kart 7, Super Mario 3D Land, Animal Crossing: New Leaf, Donkey Kong Country Returns 3D, LEGO City Undercover: The Chase Begins and the upcoming Yoshi’s New Island. The system and game must be registered between March 1 and March 31 in order to take advantage of the promotion. Download codes for Pokémon X or Pokémon Y must be redeemed by May 31, 2014. Pokémon X and Pokémon Y, the latest entries in the world-famous Pokémon series, offer a visually spectacular new Pokémon experience that brings the world of Pokémon, new Mega Evolutions and a host of new features to the Nintendo 3DS like players have never seen before. The games are currently available in stores and in the Nintendo eShop on Nintendo 3DS at a suggested retail price of $39.99. For more information about Pokémon X andPokémon Y, visit http://www.pokemon.com/xy. For more information about the Club Nintendo program, including further details about this promotion, go to http://club2.nintendo.com/3ds-pokemon-promo. For more information about the Nintendo 3DS family of systems, visit http://www.nintendo.com/3ds.